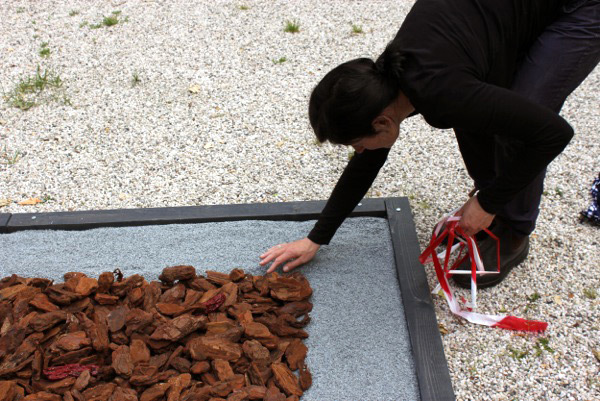 The installation ‘Liduina in the rose garden / Liduina’s skin’ is inspired by the great suffering of Saint Liduina (patron saint of the long-term ill) and by her unconditional love for God and her fellow human beings. 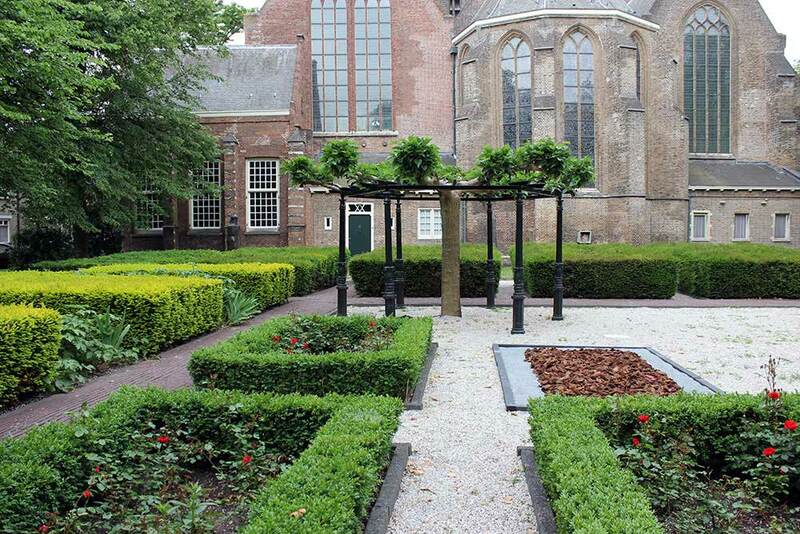 In the garden of the Sint Jan’s Church in Schiedam (NL) three rosebeds are situated in a field of white pebble-stones. 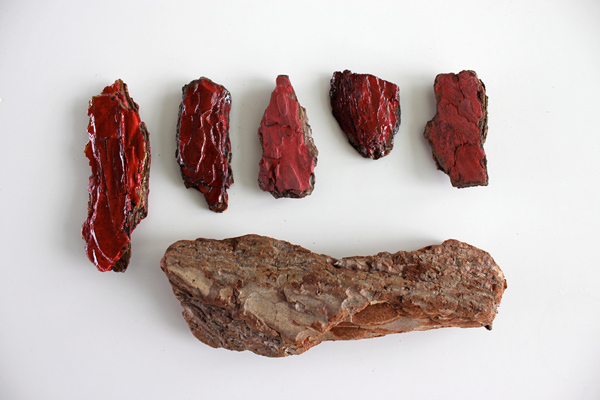 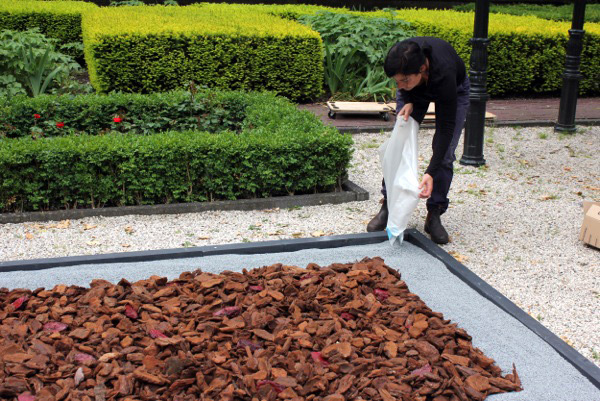 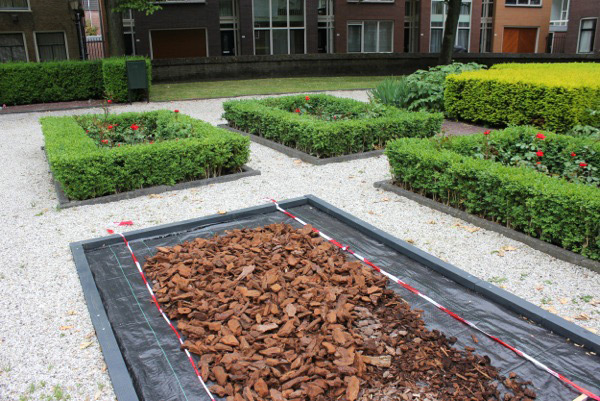 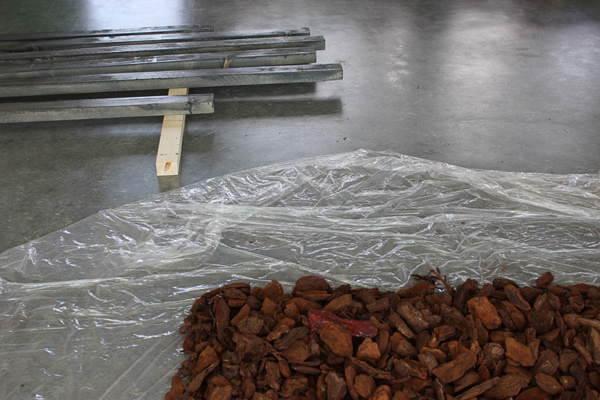 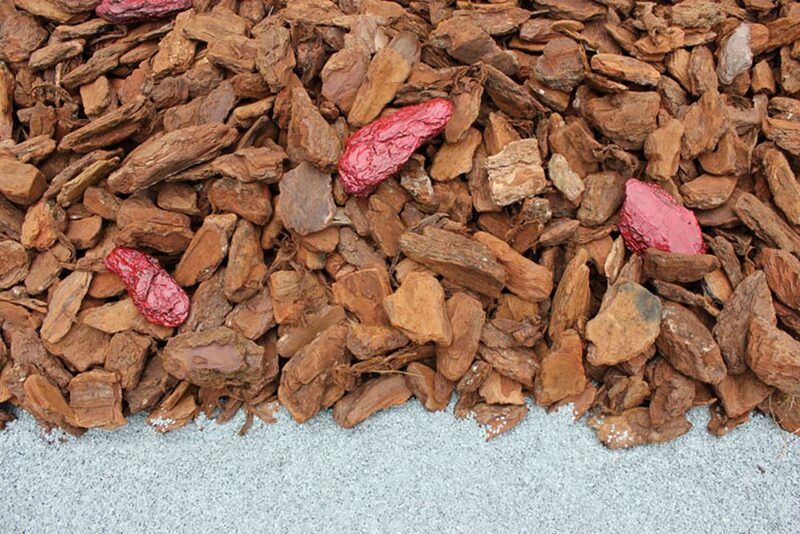 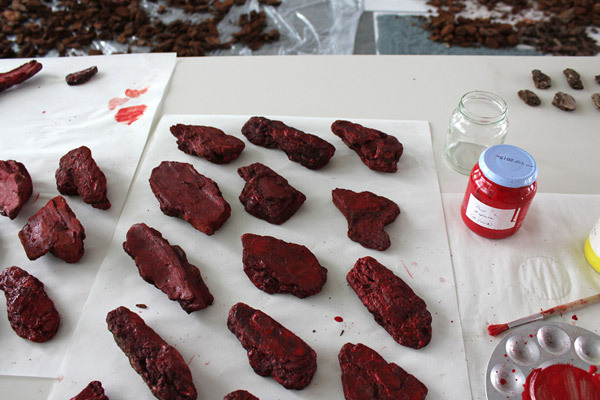 By adding a fourth bed – filled with (partially red painted) bark and slate chippings – I created a work that refers to a.o. 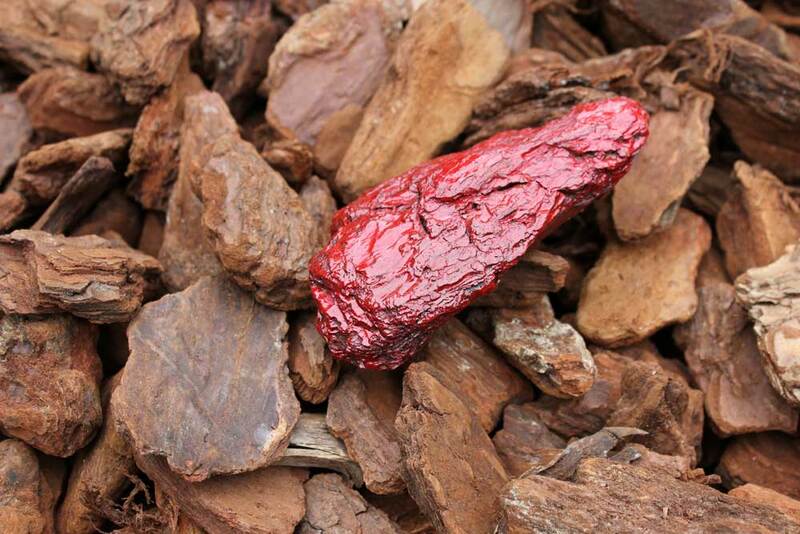 the skin of Liduina (bark), her suffering and virginity (white cross of pebble-stones), her salvation (blossoming red rozes), open wounds, stigmata and love. 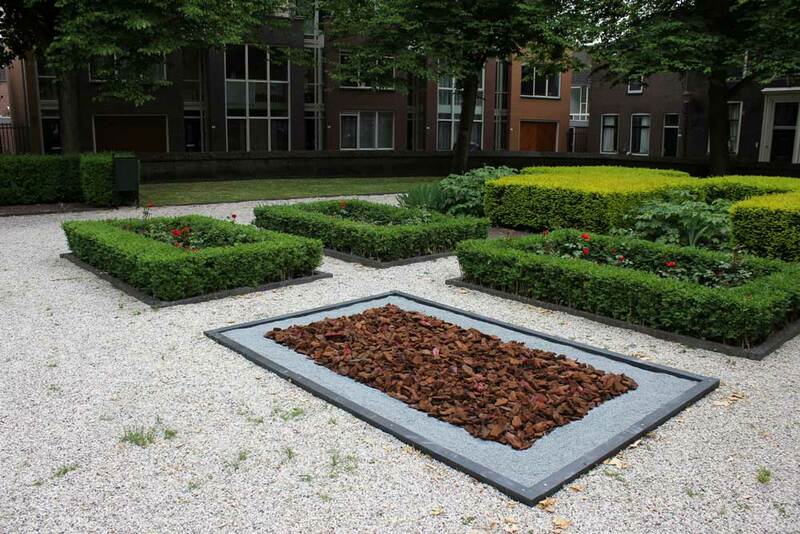 This work is made in commission of the Schiedam Art Centre as part of the Liduina year.